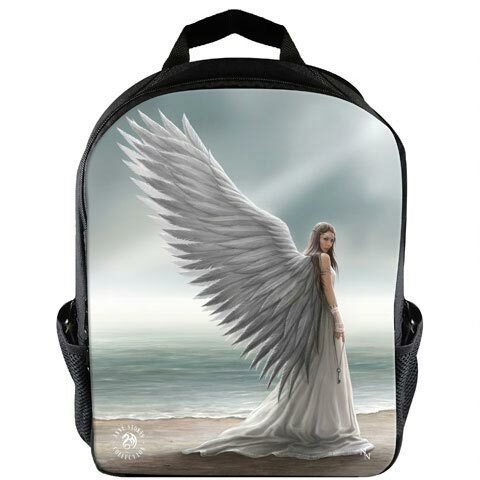 Anne Stokes fantasy and gothic art Rucksack. 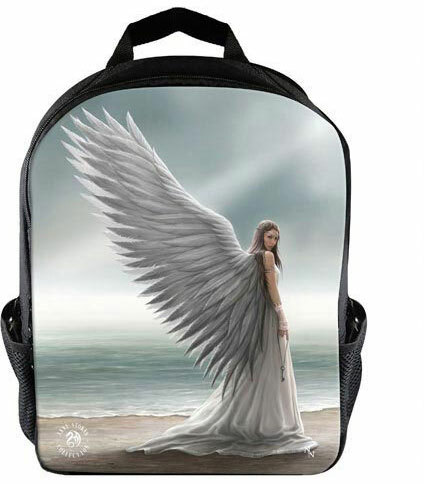 Spirit Guide features an elegant angel dressed in a long white dress standing on a beach in front of the sea. The sun on the horizon shines from behind her impressive wings.